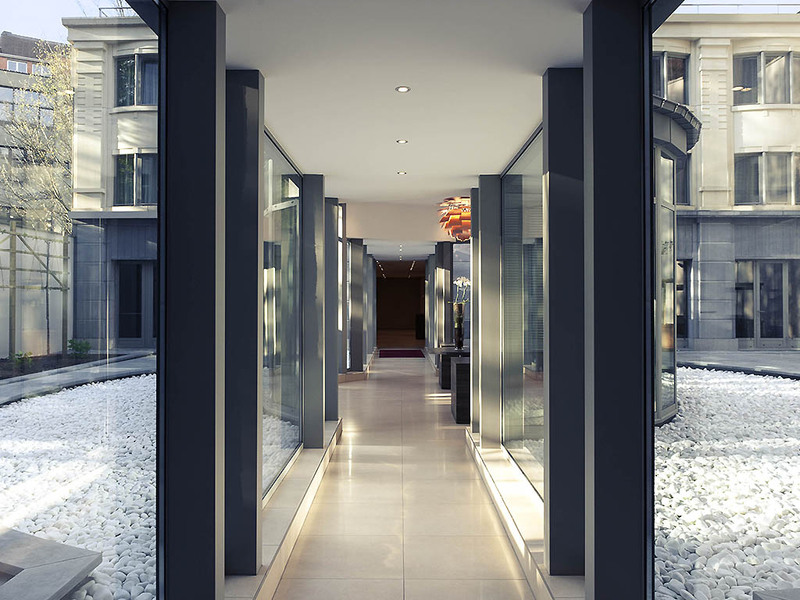 Our hotel is the ideal base from which you can discover the centre of Brussels. Visit one of the city's many museums, such as the Royal Museums of Art and History and the Natural Science Museum. And don't forget to check out Hallenpoort and Manneken Pis. Be amazed by the historic Town Hall or Royal Palace. Comic strip fans must definitely visit the Belgian Comic Strip Center. Want to relax for a bit? The best place to taste some local specialties, either something to eat or drink, is the Grand Place. At Mercure Brussels Centre Midi, you can choose from the various rooms available to suit your needs. Stay in one of our beautifully decorated Superior rooms or Executive Suites. Free Wi-Fi, safe, coffee & tea facilities and bathroom with bath or shower. Staff were very helpful even before my trip in helping me secure a room with a walk in shower. The hotel was easy to find and lovely and clean. Only reason I don’t give it a 10 is due to lack of food served at the bar as only pizzas were really available. So for someone like me in a wheelchair we had to travel to find food however the bar/reception staff were helpful and friendly and the Leffe Beer was lovely. my room 406 was big and nice, but the TV was not working well, I called the reception, the blond young lady came up, tried to solve the problem, then sent up the hotel technician, the TV worked better but there were still flashes on the screen...they were both very nice and polite all way long. The hotel is nice, but the neighborhood was alas less nice. Overall pleasant experience. Check in late at night challenging as someone tried to steal my knapsack in foyer. Not the greatest neighbourhood for the hotel unfortunately. But great breakfast and spacious rooms with nice decor. Tv's are a bit challenging to find the English statìons. Nothing special. Kind staff, OK hotel. The hotel was nice surprise inside and had quiet room. Very nice hotel, very nice & helpfull staff. room, bar breakfast was good. I liked the spa, keeping it open longer than until 10 pm would be nice though. Disappionting was that “Coffee ...” (I don’t remember the exact wording in the room description) meant a kettle and some instant coffee. From the description I had expected a small Nespresso machine in te room or similar. A plus was, that decaffeinated coffee and herbal tea was available. My kettle wasn’t working at first, it was quickly and easily exchaned by the friendly hotel staff though. The use of a mirror with an included clock which resets itself when power is removed for long enough is a weird choice, small stuff like this sparks doubt if the people choosing the interior ever actually stay in a hotel room. The location is convenient, particularly if you arrive in Brussels in the middle of a 24 hour transport strike. The hotel is good - very clean and well maintained. We had a room on the fifth floor and due to the high quality double glazing, it was very quiet. Breakfast buffet good. The hotel is not situated in the best part of the city, but it is easy to walk to the centre and metro and other transport links are close by. The price was good for the location and the service received on reception was good and without any wait. However, I asked for a bathrobe in my room and was told there aren't any at the hotel. For a luxury hotel with a spa, I was surprised and disappointed by this. Also, in the room there wasn't a mirror anywhere near a plug so it was hard to style my room as a woman. Finally, spa pool and sauna was only open from 10am. I specifically picked the hotel for the spa and was disappointed I couldn't gym and use the spa before work. I ended up using the spa in the evening, only to find half the lockers broken and two people grinding on each other in the spa pool and doing video calls. Very inappropriate so I complained to reception who said they knew about the issue and was about to do something, but by this point my experience had already been ruined. So nice hotel but could significantly improve. Quite disappointed with our stay at Mercure Brussels Midi. Found the staff unfriendly and unhelpful. The hotel location is not the best as surrounding neighbourhood very poor and we were not comfortable out at night in that area. We would not stay here again nor recommend to friends. This hotel is in a very rough area - we didn’t feel safe out at night. The staff were disinterested and unhelpful. The bed was the most uncomfortable bed we have ever attempted to sleep on causing a back problem to flare up fir me. We would not return to this hotel nor recommend. I have used this hotel a number of times and return because the location is convenient, the staff are particularly friendly and helpful and the bar/kitchen are open later than many others in the area - useful to me as I often arrive late. I had to visit Brussels at short notice for a funeral, and to help clear my deceased friend's apartment, and was pleased to be able to stay in the familiar surroundings of the Mercure again. I needed to make use of the secure underground parking, which was excellent. This is the first time I've visited by road, and found it conveniently located for major routes into and within Brussels. Staff were courteous and helpful as ever. Nice hotel and helpful staff. Good size room and Belgian beer in the bar. Great position for Midi station but also only 10 minutes into the centre by tram.